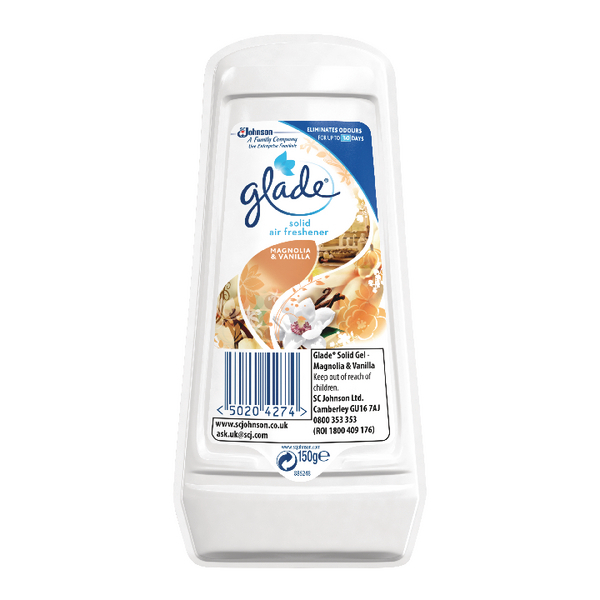 Eliminating unpleasant odours and replacing them with a subtle, understated magnolia and vanilla fragrance, these Glade scented gels are perfect for either home or office use. 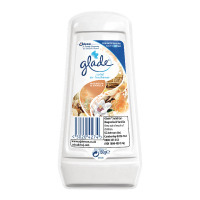 This Glade gel air freshener is easy to use, simply position where required and it will emit a refreshing vanilla and magnolia fragrance that will last up to a month. This pack contains one 150g gel block. © 2012 Fovia Office Ltd. All rights reserved.